Геймърски слушалки Gaming Headset H59 от GENESIS се предлага на цена от 50,00 лв..
Natec Genesis H59 is a headset which can be used both with the console as well as playing on the computer. Universality is just one of the advantages of H59, which also guarantee high-quality audio and full control over the settings sound. With H59 most of demanding players will be delighted that it can be used regardless of the platform. Thanks to a special adapter You don?t need to buy additional headsets to use another platform. In addition one meter long adapter to the PC will provide convenience and will make You to be able to enjoy high quality sound regardless of hardware You use. H59 are equipped with a sensitive microphone that ensures high quality transmission of sound without any major disruptions. Additionally, the microphone can be easily detached, so they will not disturb in the game. On headphone cable H59 is a special control panel that allows to adjust the sound volume and set the specifications of the microphone. This eliminates the need to break away from the game in order to adjust the sound settings as desired. 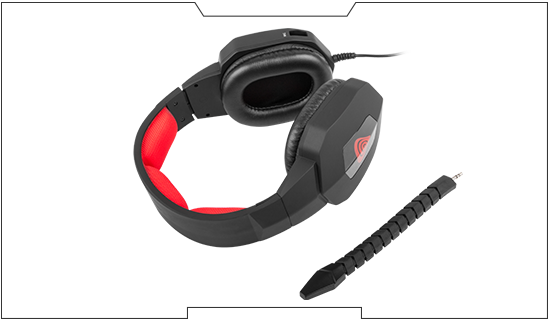 H59 are a real gaming headphones. 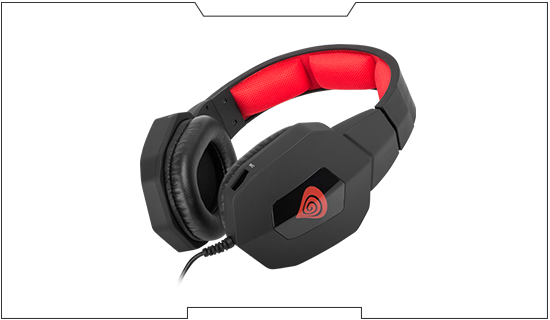 Red inserts and Genesis logo with modern design underline gaming design of headphones.